Jamie Green is an Ambassador for my AFK. He is currently a PhD student in Modern Languages at Oxford University, researching the development of identity in South Tyrol, a trilingual province in northern Italy. As I was preparing to start my masters degree in German and Italian in 2016, I reflected on how much had changed in the last few years. I’d done a degree, lived away from home for the first time and even completed my year abroad in the trilingual province of South Tyrol in northern Italy. 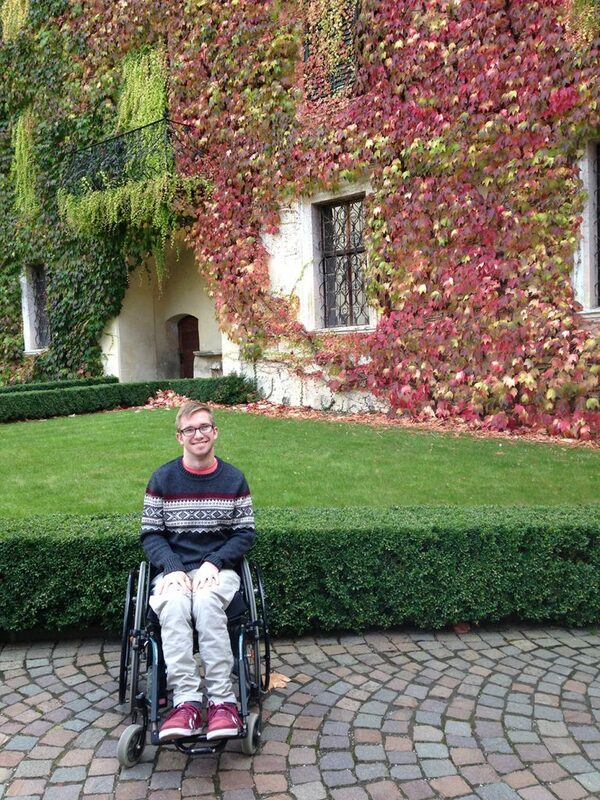 One thing which hadn’t changed, however, was my wheelchair. 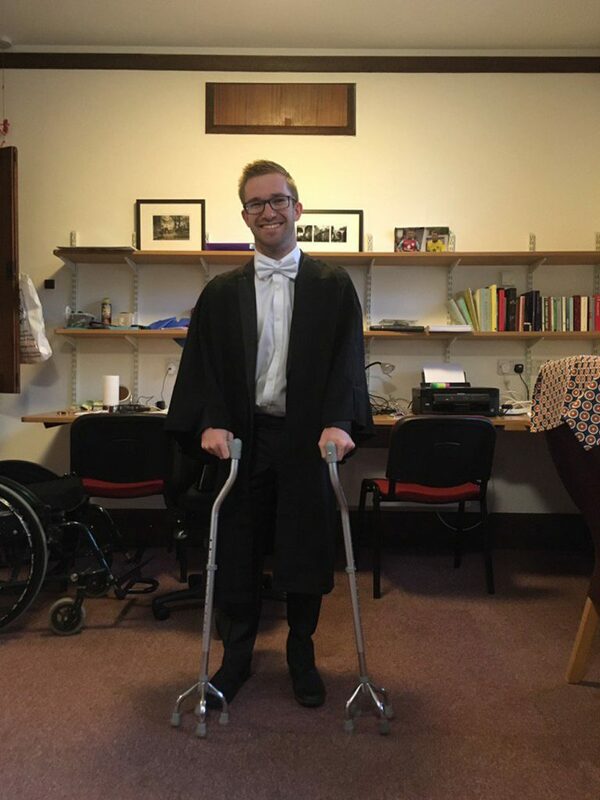 I’d had my trusty manual wheelchair since I was 16 and just about to start sixth form in the autumn of 2010. It had done very well but was definitely showing its age. The paint was peeling off, I couldn’t push properly without catching my hands on the brakes and self-propelling over hilly terrain was impossible. In other words, it was definitely time for a change. My first port of call was my local NHS wheelchair service, albeit more in hope than expectation as they had been unable to provide me with a lightweight wheelchair in the past. 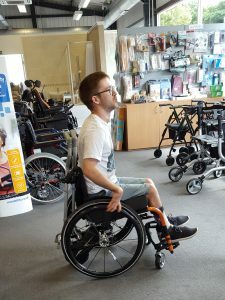 I was initially really excited about getting a new wheelchair for the first time in years but the first and only appointment I attended quickly dampened any enthusiasm I had. 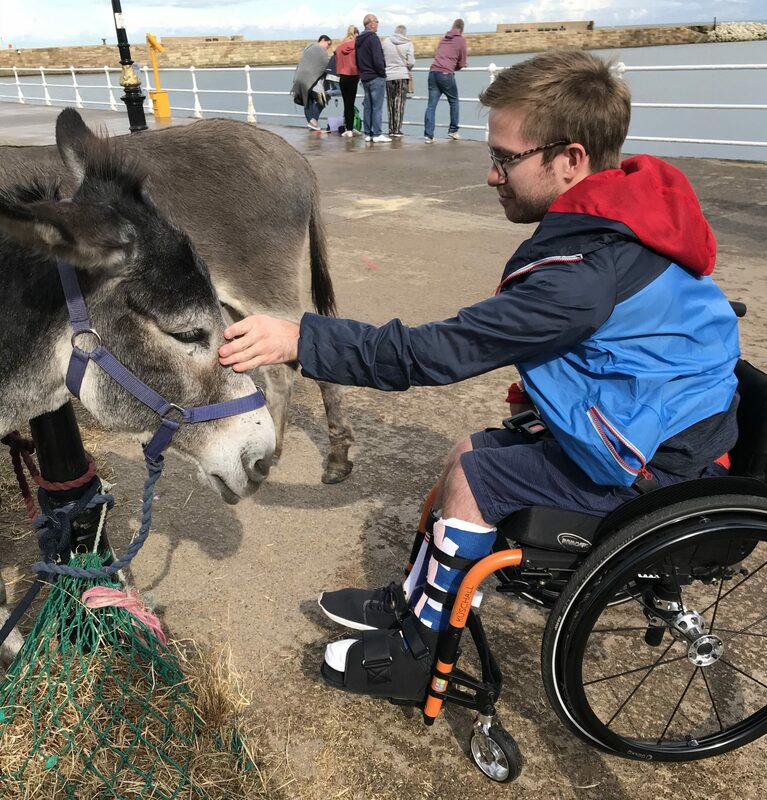 I was asked hardly any questions about what I was looking for and the conversation immediately focused on what the wheelchair services could afford rather what kind of wheelchair would best suit my needs. I didn’t think it was possible for the appointment to get worse. I was wrong. 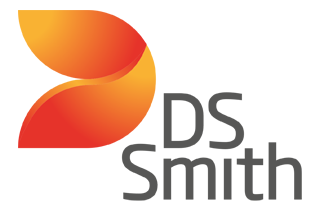 The wheelchair services then said that if they provided me with a manual wheelchair then I would have to return the powered wheelchair they’d provided me with a few years previously. 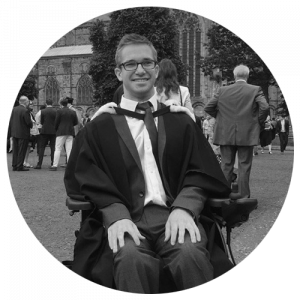 I explained how my life at university meant that I needed both the flexibility offered by a manual wheelchair and the security of having powered wheelchair in situations where I was unable to self propel. However, it made no difference and I started to look at alternative options. Fast forward a few months to spring 2018 and I thought I’d found the perfect solution. I’d discovered a lightweight chair called the Küschall Champion SK which, crucially, was foldable so could fit into the back of a car. I’d also discovered the SmartDrive – a detachable power attachment which can be fixed onto the back of a manual wheelchair. I was convinced that I’d found the perfect solution. There was only one problem – I didn’t have any funding. This is where my AFK came in. I did some research into charities that might be able to help and my AFK leapt out straight away. 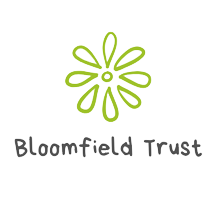 As soon as I rang them, I knew they understood my needs and why two wheelchairs were absolutely necessary for me to be as independent as possible. I was asked about my life and why this particular wheelchair was important. It was immediately obvious that my AFK were treating me as an individual with individual requirements. 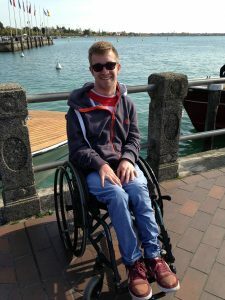 I was talked through the application process and a few weeks later I got some surprising but brilliant news – I’d got funding for my dream wheelchair! I was feeling a bit anxious about an upcoming operation at the time so being able to collect my wheelchair a couple of days before my surgery was a great boost. The SmartDrive increased my independence immediately. I’m currently in the second year of PhD in German and Italian at Oxford University. As part of my research I need to travel to South Tyrol, which is beautiful but also very mountainous. The SmartDrive will be ideal for allowing me to get around independently, something which would have been impossible with my old wheelchair.